Hop on board and enjoy the sixth and final adventure of Captain Diego Alatriste and his foster son Íñigo. This time around, the swashbuckling duo set sail aboard a seventeenth-century Spanish galleon. As a seasoned sword-for-hire, Alatriste always expects action, but nothing can quite prepare him for the viciousness of his last battle. Of course the author wouldn’t be true to the series if he didn’t provide at least a dollop of romantic intrigue. As Íñigo begins experiencing growing pains, he forms an ill-advised attachment to the niece of Alatriste’s sworn enemy. Like his charismatic anti-hero, Pérez-Reverte never holds, pulling out all the stops as he skillfully crafts a shocking, fight-to-the-death bloodbath on the high seas. This is the 6th book in the Captain Alatriste series written by Spanish Author Arturo Pérez-Reverte. He wrote the first one back in 1996. This was written in 2006 but just recently translated. The story is always told by Inigo Blaboa who is the young son of Alatriste's best friend who was killed in battle. Pérez-Reverte has a wandering style of writing through each novel and spend much of the first half of the book flashing back through time or hinting at what is coming in thiet futures after this particular story is told. The second half of each novel always settles down to a good story. 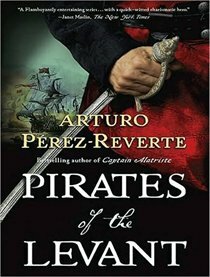 This story is the weakest of the series as Captain Alatriste is usually a sword for hire or a soldier and the story has a purpose. This is a rambling tale of Alatriste and Inigo adventures aboard a Spanish galleon wandering the Mediterranean. 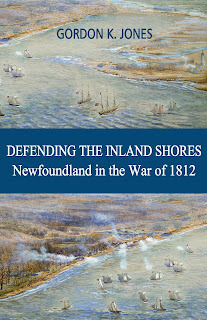 The author has always done an excellent job in describing battle or sword fights and the battle at the end of this story is excellent. It's worth a read if you are a fan of the series. If not, you may wish to start with the first one Captain Alatriste.